There is no substitute to premium quality sound. If you want high fidelity audio at your party, concert, event or gala, secure top of the line sound system rental solutions from TriTec AV – the top audio equipment rental company in Dubai today. TriTec AV is a full sound and lighting company in Dubai offering customised sound and light rental solutions to clients across UAE and the Middle East. We have established ourselves as one of Dubai’s top sound system companies by creating superior auditory experiences that elevate events to another level. We are capable of supplying clients with a full range of equipment, from wireless microphones, lapel mics, and monitor amplifiers to audio mixers, high decibel speakers, and large format sound boards, to give your event the best ambiance possible. We can tailor a sound system rental package that meets the exact size and requirements of your event, whether it’s a party, concert, wedding or corporate gathering. Our leadership team offers more than 25 years’ worth of combined experience, allowing our dedicated consultants to provide our clients with invaluable insight into what they need to make their event successful. 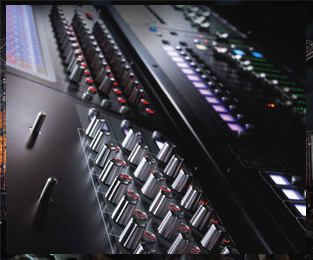 Deliver sound quality that boasts clarity, high dynamic range, accuracy, and enjoyability through top of the line audio equipment and sound systems. Get in touch with the premier sound and lighting company in Dubai – TriTec AV. Contact us by calling +971 4 36 89 812 (UAE) / +962 6 2003344 (Jordan). You can also email us your queries at [email protected], and we’ll get back to you as soon as possible.